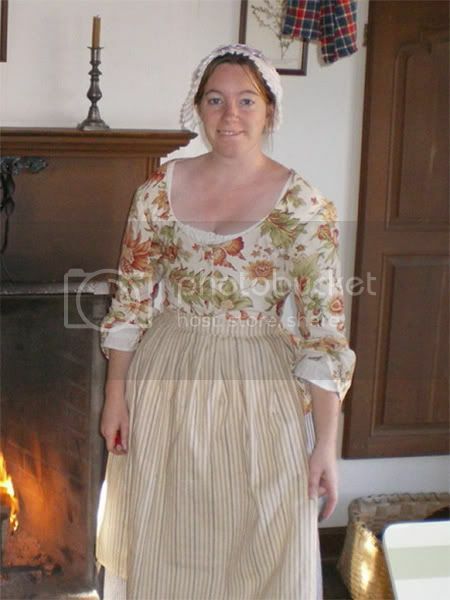 Kate at Colonial Michilimackinac, October 2008. When it became apparent that Les Proches de la Grande Tortue would be doing an actual event, Andrew, Kate, and I got together to work on some new clothing. The big project (other than finishing a half-made pair of breeches for Andrew) was a new shortgown or jacket-style garment for Kate. 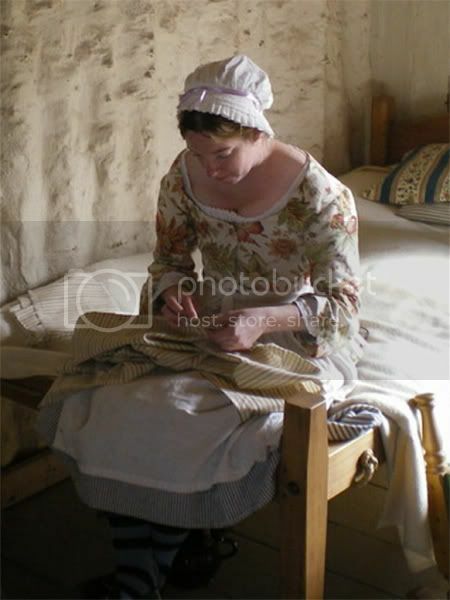 Kate, working on her new apron. The fabric is a large-scale home decorator print, purchased at the Petoskey JoAnn's in 2007. There was barely enough to make this jacket--the hanging cuffs used up literally the largest scrap of leftovers that I had. 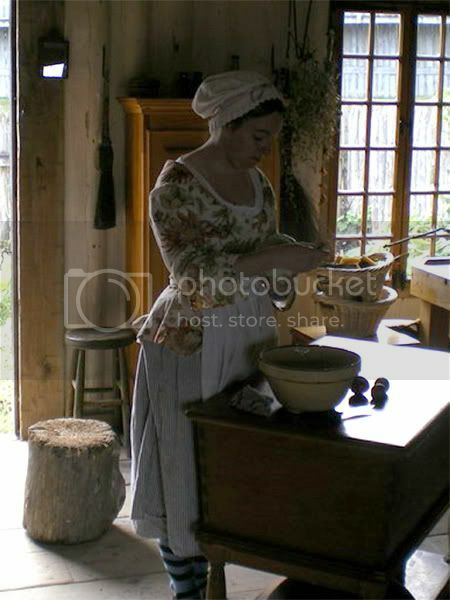 It's lined in the same striped linen as her petticoat. The lining and fashion layers were made separately and then attached by hand with a fell stitch. The pattern was draped directly on Kate, over her new pair of handsewn stays. 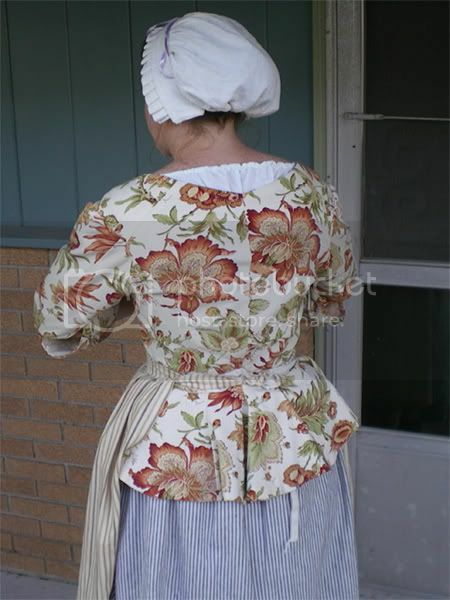 It loosely follows a jacket pattern from Janet Arnold's Patterns of Fashion I: 1660-1860. Kate got a chance to wear her new jacket at Michilimackinac's haunted fort event, as well as at Fort St. Joseph's Education Days in Niles, MI, over a very cold weekend at the end of October.